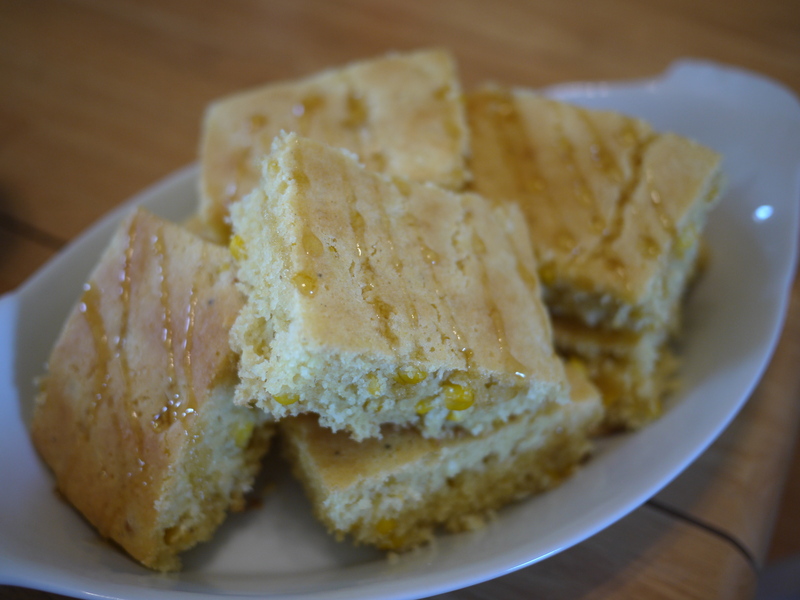 I’ve had a container of cornmeal sitting in my pantry for a while (bought it to make dog biscuits for bruno), so I decided to use it to make a sweet cornbread for a girls lunch at my place. And with summer corn so ridiculously cheap (6 for $1) and sweet, I just had to incorporate freshly cut corn kernels into my cornbread. In a large bowl, throw in all the ingredients and stir until combined! 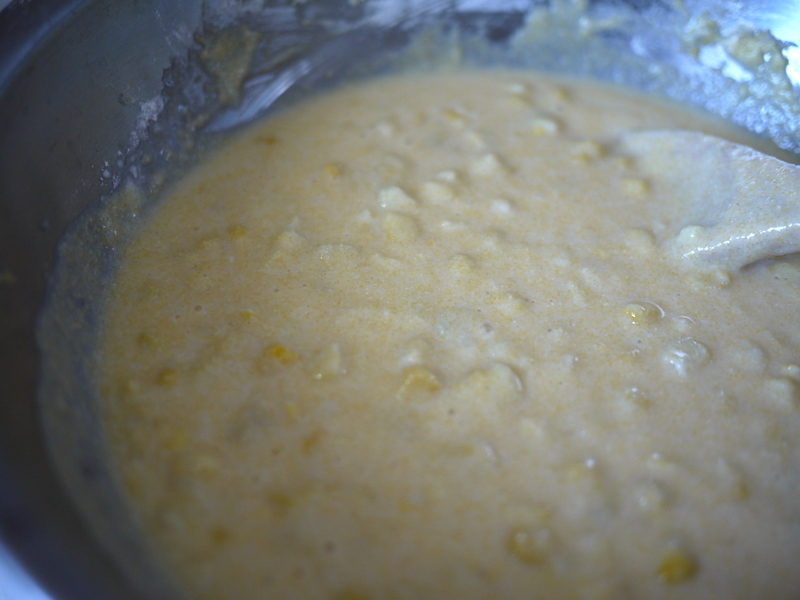 Pour mixture into a medium-large casserole dish or cake pan. Bake in oven at 400 degrees for 20-25 minutes. And like any good southern Texas girl would do, I served my cornbread with honey (North Texas honey–you know, to help with allergies).